The former Wolverines coach was hired in January to lead Cedar Park Christian in Bothell. 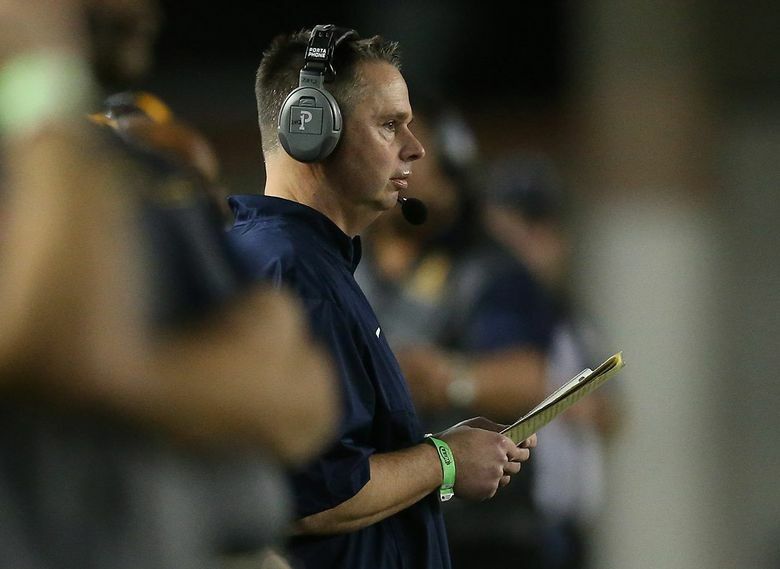 The Bellevue School District violated the union rights of former football coach Butch Goncharoff and his assistant Pat Jones, according to a ruling made by the Public Employment Relations Commission (PERC) on Friday. In May 2016, the district imposed a two-year hiring ban on the coaches due to rules violations based on an investigation by the Washington Interscholastic Activities Association of the football program, which resulted in WIAA sanctions. That investigation followed a series of articles in The Seattle Times detailing the violations. The Bellevue School District also changed pay restrictions for summer employment that allegedly affected the coaches and forbid Goncharoff and Jones from communicating with other coaches, parents, students, and individuals associated with the district. PERC’s ruling states those actions by the school district were unlawful because they should have been presented to the Bellevue Coaches Association union for bargaining. However, Goncharoff and Jones were under one-year contracts that initially weren’t renewed. The former was hired in January to coach Cedar Park Christian in Bothell. Bellevue was given a two-year postseason ban, had to play a reduced schedule last year and was banned from receiving help from an outside booster club for four years.